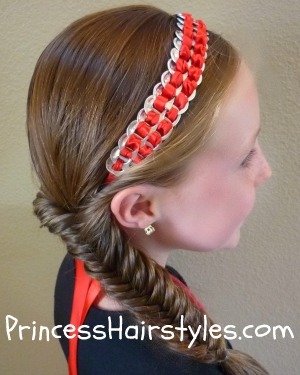 When we posted this picture below with our DIY pop tab headband tutorial a few weeks ago, we had some questions regarding how we added the twist to the back of the fishtail braid shown in the photo. 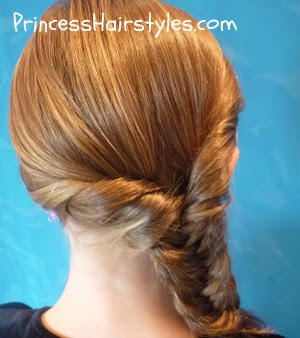 Some were wondering if we had used a topsy tail to flip the braid and create the twist. As you will see in our video tutorial, we didn't use a topsy tail. I have found that using the topsy tail method and flipping the braid inside out creates a twist that isn't quite as secure as the method we have been using. But it does help somewhat to keep the hair from falling out of the braid and looks cute besides, so you may want to try it sometime as another option. 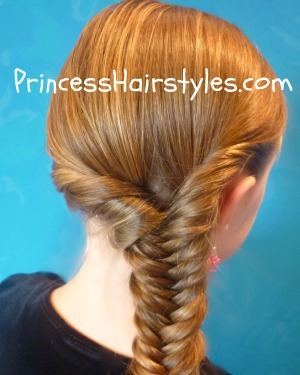 Beautiful hairstyle but did you know theirs a much easier way to make that twisit? 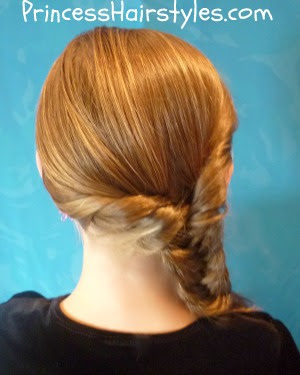 Put your hair in a low ponytail make a hole above the elastic and stick your ponytail through it it will create a twist! Thank you sooo much!!! I have been trying to figure out how to keep away the fly aways in a side braid for a long time. This is perfect! Way better than boby pins (which tend to slide from where I wanted them as the day progresses.) Thanks!!!!! Super cute, now if my daughter's hair would grow! This is really cute! I still can't do much to my daughter's hair since she cut it last year, but hopefully eventually I'll get to try some of your tutorials LOL!